Narinder speaks to Me and Writes with Me in Spirit. is alive and unique; a most unusual book containing Divine Conversations. God's Living Bible - The Third Testament on Facebook. 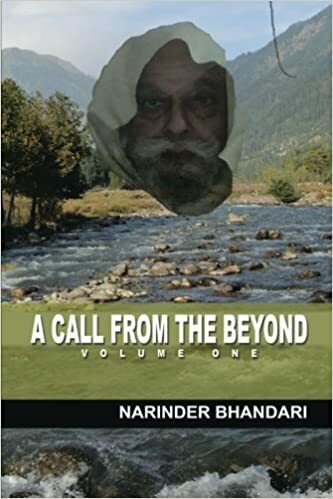 Narinder Bhandari, 76, is a retired Army Officer, and lives in Chandigarh, INDIA with his wife Ravi, son Karan and family. The greatest 'happening' in his lifetime, says he, was "The Death of Time" for one single Moment in 1982; a gift of his Guru, God and Meditation. Past and Future ceased to exist. Life became a spontaneous living in the Light of awareness of the present Moment. 'The Death of Time is the Death of the Mind. The ensuing Silence is TOTAL. "Anand bhaya meri Mayee, Satguru mein Paya"
(Bliss, O my Beloved mother, The Satguru has removed the veil between HIM and Me, to reveal Himself to me! Ah, how the Music resonates...!!! Poetry began to arise in my Consciousness in 1998. Words that have been heard thousands of times before, are now words NO MORE. The Words are the Light. The Words are the Sound. Thank you, God, for all your Blessings showered on all your Creatures and Beings. THROUGH THE EXPANSION OF THE WORD, IS CREATED THE VAST SPACE OF TIME AND THE MANY GALAXIES, EACH WITH MANY UNIVERSES; EVERY UNIVERSE WITH MANY PLANETARY SYSTEMS. AND YOU, GOD, REMAIN HIDDEN IN YOUR CREATION. YOU AND YOUR CREATION ARE NOT -TWO. 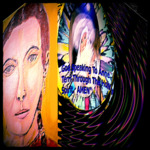 BY YOUR OWN DESIRE, LORD, ARE FULFILLED THE DESIRES OF YOUR CREATED BEINGS AND CREATURES. YET YOU REMAIN UN-FATHOMABLE, LIMITLESS AND UN-KNOWABLE. Persons like Anne Terri and Narinder Bhandari do not exist. Only GOD does. Is that not a wonder? They may be called 'Slaves of the Lord' or it could be said that their comings and goings have ended; the Formless Lord now dwells within their Minds. God's limits cannot be found; He is lofty and exalted, inaccessible and infinite. Such is the Glory of God, as well as HIS Slaves, who enjoy God's Blessings. Persons like them, having meditated, become the very Light of the infinite unborn Consciousness; ever un-knowable, un-understandable; and yet, ever known.